There can be no order without rules. And trade is no exception to this. The World Trade Organization regulates the trade between nations to ensure that trade flows as smoothly, predictably and freely as possible. 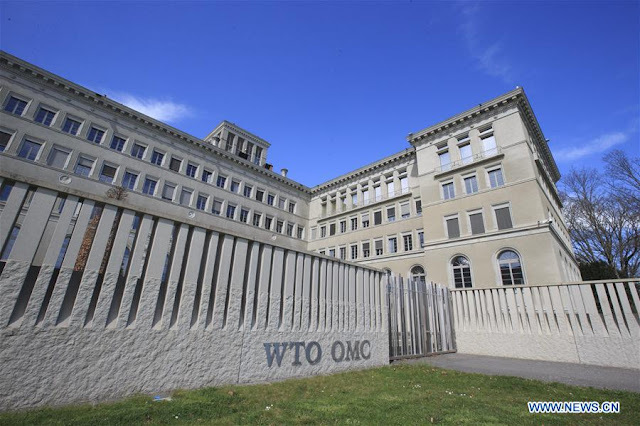 China has spared no efforts in honoring the promises it made to join the WTO, and the country has not only abided by the WTO rules over the past 17 years. It has contributed a great deal to the development of the world economy and is a staunch defender of the WTO trade system. In contrast, the Donald Trump administration's unilateralism and trade protectionism pose an ever greater threat to free trade. Under the unjustifiable pretext of national security, it has violated the United States' WTO obligations by imposing tariffs on steel and aluminum imports, and discriminating among its WTO trade partners. 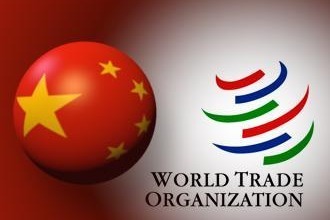 There is no denying that China has benefited a lot as a member of the WTO, which has facilitated its opening-up and reform. Without integrating its economy with that of the world, it would have been impossible for the country to maintain its double-digit economic growth for more than a decade. Yet the other side of the coin is that as a rule-abiding member of the WTO, China has also contributed to the world economy. Had it not been for China's help and support, it would not have been possible for the US and other major Western countries to have emerged from the devastating effects of the 2008 financial crisis so quickly. And without China's opening-up, it would not have been possible for so many transnational corporations to benefit from their business in China. And of course, those businesses have provided jobs for China and enabled the country to earn more from international trade. Free trade is undoubtedly reciprocal. China is a beneficiary of free trade within the framework of the WTO, but it also benefits others. 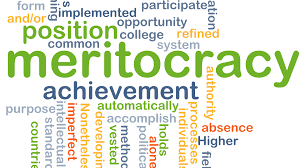 It is a contributor to the development of the world economy and defender of the current world economic order. Because they fail to appreciate this, some Western countries regard China as simply a free rider on globalization and refuse to recognize China's status as a market economy as they should. That the US refuses to settle its trade dispute with China within the framework of the WTO only points to its own lack of respect for the WTO trade rules. China will continue to abide by WTO rules and firmly defend the current world economic order, as it believes that rules-based multilateralism is essential for the healthy development of the world economy. The Trump administration should find a balance between its new strategy, which can be partly reasonable, within the existing highly interconnected world. The US should understand that emerging countries cannot be treated like in the past. At a time when globalization needs to be safeguarded and promoted, some countries are doing exactly the opposite by violating even the normative axioms of international relations. In particular, the Donald Trump administration seems hellbent on instigating a trade war with major economies by using anti-globalization and protectionist measures, which are disrupting the international trade order. Claiming to resolve domestic structural problems and meet global challenges with a combative approach, US President Donald Trump has become the most powerful force behind the wave of trade protectionism. The trade disputes he has stirred up pose a big challenge to globalization, which is based on the division of labor in the global value chain. Trump's protectionist moves would disrupt the global production network, leading to a contraction, if not dismantling, of the global value chain. In fact, he has put the global free trade system and international trade order at great risk of being destroyed. In his one and a half years in office, Trump has not only expedited investigations by the US International Trade Commission into anti-subsidy, anti-dumping allegations under Section 337 of the Tariff Act of 1930, but also used unconventional protectionist measures, such as Section 301 and 201 of the Trade Act of 1974 and Section 232 of the Trade Expansion Act of 1962, to order investigations against imports, including those from China, and the trade practices of other economies. No wonder many overseas scholars are more worried about a "Trump trap" rather than the "Thucydides trap", because the former will harm not only China but also the rest of the world. Essentially, the Trump administration's trade policies are not different in nature from those of the Barack Obama administration. But compared with Obama's trade policies, Trump's policies exhibit some new features. First, for Trump, his "America First" policy is more important than international rules and the world trade order. Trump has been exhibiting a tendency to either take advantage of or discard the multilateral global trading system to fulfill US interests. The president's 2017 Trade Policy Agenda stresses that the efficiency of the open and multilateral trading system, built by the US itself, needs to be reassessed to realize and promote US national interests. Apart from complaining about China's so-called restraints on foreign capital's access to some service industries, including telecommunications, banks and healthcare, the US Trade Representative has also accused China of forcing technology transfers despite China gradually opening up these industries in accordance with the General Agreement on Trade in Services of the World Trade Organization. Second, the US administration has raised economic security to a new level, by incorporating economic and trade policies into national security, with Trump's first National Security Strategy emphasizing that economic security is national security. Declaring that the US would use all applicable tools to defend national security, Trump has said the US will adopt a zero-tolerance policy toward any move it considers unfair or harmful to the US economy. 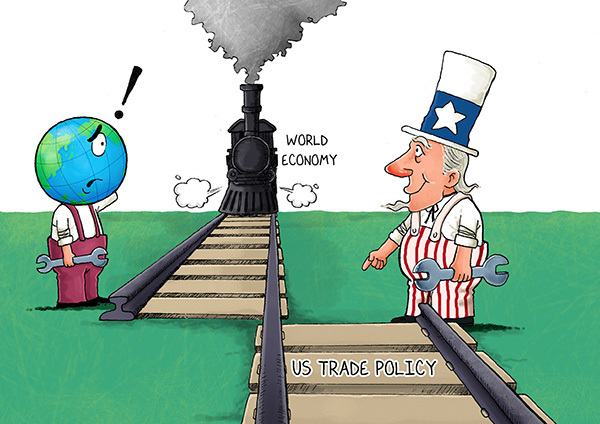 Third, Trump is trying to weaken, even overthrow the multilateral trading system, a system based on rules that has played a central role in promoting cooperation and opening-up of trade and investment, apart from offering a stable and reliable system for WTO members to resolve trade disputes. Evidently, the Trump administration is making all-out efforts to skirt and marginalize the WTO, most recently by saying appeals against WTO rulings should not take more than the mandated 90 days to deal with. What it has conveniently ignored, however, is that the delay is caused as the US, from time to time, has thwarted the Appellate Body from starting the procedure of selecting new judges, leading to a paralysis in the WTO's dispute-settlement mechanism. Fourth, Trump is trying to defend fair trade, ironically, through unilateral trade sanctions. The Trump administration has ordered an estimated 94 investigations into so-called unfair trade practices involving dozens of countries in just one and a half years, a year-on-year increase of 81 percent. In fact, the fair trade principle advocated by Trump stresses a kind of equality that promotes a unilateral (as opposed to multilateral) open market and regards trade beneficial but imports harmful. Generally speaking, the fair trade Trump demands mainly constitutes of even tariffs and competition on an equal footing. Yet the disparity in tariff rates among WTO member states is largely attributable to multilateral trade negotiations. More important, uneven tariffs have enabled smaller economies at a primary stage of development to enter the global trading system. Since different countries are at different development stages, and have different economic scales, production factors and political sensitivity toward trade liberalization and tariff policies, it is practically impossible to fix a unified tariff rate, which Trump effectively demands. So, what is the truth behind the uneven Sino-US trade tariff rate? This can be better explained using hard data, instead of selectively ignoring unfavorable facts like the Trump administration has been doing. China's actual trade-weighted average tariff rate is 4.4 percent, which is almost the same as that of developed economies, including Australia that has a trade-weighted average import tariff rate of 4 percent and the European Union 3 percent. Correspondingly, more than 3,335 of the US' most-favored nation tariff rates are higher than 5 percent and 1,120 above 10 percent. Also, to prevent others from catching up, the US has invoked more than 125 Section 301 investigations since 1974, causing significant damage to other economies－the EU has faced 27 investigations, Japan 16, and Canada 14. In January 2017, the US President's Council of Advisors on Science and Technology recommended in a report titled "Ensuring Long-Term US Leadership in Semiconductors" that the US restrain the development of China's technology industries because China's rise in the field of semiconductors posed a threat to the US. Besides, the US is attempting to thwart the Made in China 2025 plan by launching more Section 301 investigations. 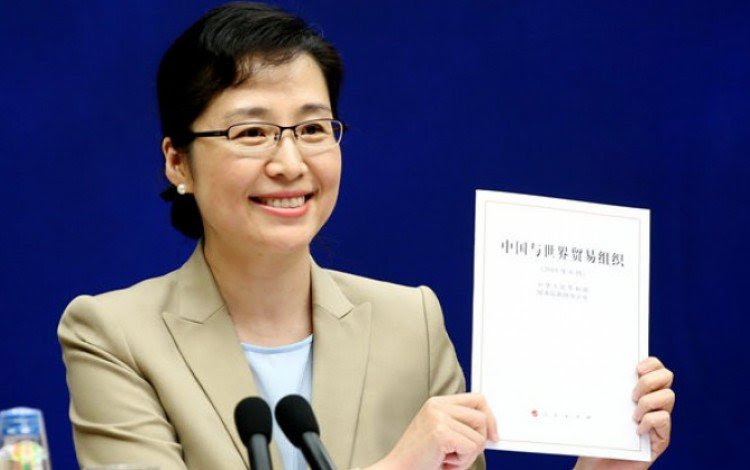 And the 578 high-tech products on the US' sanctions list against Chinese imports, which account for 43.36 percent of the total number and 56.15 percent of the total amount of high-tech products, show the US is indeed trying to contain the development of China's high-tech industry. Trump also is seeking to restrict Chinese investment in the US' high-tech sector, by extending the power of the Committee on Foreign Investment in the US and accelerating the legislation procedure of the Foreign Investment Risk Review Modernization Act. Do we need more evidence to prove the US is the most potent destructive force in the global market and technology competition? Furthermore, Trump seems to be preparing to take new measures in the escalating Sino-US trade conflict to restrict Chinese enterprises from investing or acquiring US companies in strategic industries listed in the Made in China 2025 plan, by using the International Emergency Economic Powers Act. And as part of its new tax reform, the Trump administration plans to prevent US companies from transferring their operating activities, high-value patents, copyright and trademarks to low-tax countries. Particularly noteworthy is a provision in the Senate version of the tax reform plan, which says a tax of 13.1 percent would be levied on global intangible low-taxed income. The move is aimed at foiling the efforts of US companies such as Apple, Google and Qualcomm to transfer their technologies to or conduct innovative cooperation with companies in other countries. Trump is trying to instigate a trade war without realizing, rather refusing to accept, that a trade war will hurt all and sundry, including the US. The challenge for and obligation of the rest of the world is to find a way, and find it fast, to safeguard the multilateral trading system and protect it from the assaults of Trump Inc.
By Zhang Monan China Daily. The author is a researcher at the China Center for International Economic Exchanges.